Few years ago, the Nigerian Law School restructured its curriculum to accommodate the present realities of Law practice. The courses were restructured and a bit of digitalised learning were introduced. Today, that generation of lawyers who went through this training are practicing law and they form the majority of lawyers described as young Lawyers. Lawyers who are 1-7 years post call. These are lawyers who were in secondary school in the first decade of the third millennium. The decade the internet and the Global system of mobile communication became popular in the country. The decade the manual type writer finally met its waterloo, the decade the post office began to succumb to the incursion of emails and text messages, The decade facebook came into being, the decade life practically became easy and faster. These were the times of these young lawyers who will be called to the Nigerian Bar to meet a system totally strange to what they grew up with .A law Profession that is still living in the Stone Age and still gives the impression that the young ones are lazy and in such a hurry. It is not true. They are just a generation of lawyers who grew up differently. This group of lawyers are less conservative, more practical; more outspoken and in fact more progressive minded but unfortunately found themselves in a system that constricts them. They met a bar association that still expects them to queue in the banking hall to renew their practicing fee using a special teller only obtainable in the bank. They met a system that requires them to file hard copies of processes in court and make loads of photocopies, a bar association that still conducts its meetings like a town union meeting. They met a system where cases cannot be tracked, where lawyers and their clerks still dissipate energy like labourers in the practice of law. In fact, they met a hard life. In 2014 a Senior Lawyer named Austin Alegeh was elected as the President of the Nigerian Bar Association. He was the last President to be elected through the delegate system of election which the NBA operated at that time; by the end of his tenure in 2016, the NBA had a new revolutionary constitution that provided for Universal Suffrage and electronic voting. The constitution had its pitfall but one fact remained constant, it was a great and bold leap forward. It created an inclusive bar that brought every lawyer including the young ones closer to the affairs of the NBA. In 2016, the new constitution was put to use. Many describe it as a test election believing that the 2018 election will be the first real election since 1990. In the race for the NBA Presidency is Paul Usoro SAN who was a former President of the Law society of the University of Ife in his university days. He has made a success of his law Practice with many Junior Lawyers driving the Law Firm. Paul Usoro and Co, a law firm he founded is well known for its successes and tragedies. In March 2006, the legal community in Nigeria woke up to the terrific news that the law firm of Paul Usoro and Co situated in the Bank of Industry building has been raised down by fire. Millions and Millions of law assets were lost in the inferno. It was a historic tragedy that will remain indelible in the annals of lawyers. The worst case scenario any law firm can find itself. Few years later, the law firm bounced back and became even bigger. It is one of the few law firms in Nigeria that maintain an IT department. The young lawyers in PUC are chauffeur driven to courts and operate in a clean corporate environment. This background excites the young lawyers who are progressives and desire mentorship. The Welfare of young lawyers in PUC is one of the reasons why they are gravitating towards him. They believe that if he is taking care of the welfare of more than 35 lawyers in the firm, he will know how to do it for young lawyers. That is how practical this generation of lawyers can be. Out of all the candidates who have expressed their desire to lead the NBA, Paul Usoro SAN employs the highest number and pays young lawyers the most with a minimum salary of N150, 000.00(One hundred and fifty thousand Naira) for the youngest young lawyer coming from NYSC. Though he still considers this as peanuts but it ranks as one of the highest in Nigeria. Paul usoro’s law firm which now operates with other partners on board is jokingly referred to as the African Union by some lawyers while some others have different names for it. The reason behind these informal names is that the work force of the law firm is made up of people from diverse region/ethnicity across the country. For this open minded generation of lawyers, it matters so much in a country like Nigeria. Another reason why these young lawyers find Paul Usoro interesting is his commitment to information technology. 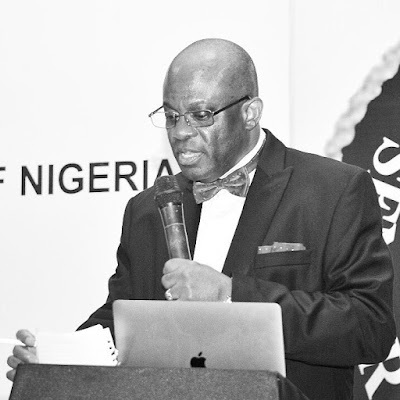 The Nigerian Communication Act and many other regulations regulating the telecoms industry in Nigeria owe their existence to Paul Usoro a top telecom lawyer usually referred as the Prince of Telecom. His practice is fully supported by information Technology and the young lawyers there find themselves in a familiar terrain. Paul Usoro in some fora has emphasized on the need for lawyers, the judiciary and other institutions that relate with lawyers to be I.T compliant. He believes that it will go a long way in improving the lot of lawyers .This also appeals to this young generation many of whom are looking up to him as someone they can work with. As the election gets closer by the day, the generality of Nigerian lawyers are looking forward to a brand new leadership in July. By then, the younger lawyers must have had their say. However it turns out, lawyers will have two years to either relish or tolerate it.